Well Hello Fall!!! And all things pumpkin. The count down has begun; I only have 51 days to enjoy my dear friend pumpkin. As much as I love fall and all that it involves… long drives for leaf peeping, frequent visits to cider mills for hot cider and warm donuts, hay rides, corn mazes and treks to the pumpkin patch… it is all short-lived. For me everything has its season, and so does any recipe involving pumpkin. I just can’t seem to bring myself to use pumpkin as an ingredient after Thanksgiving. I know what you’re thinking. I have issues… don’t worry I’m getting help. 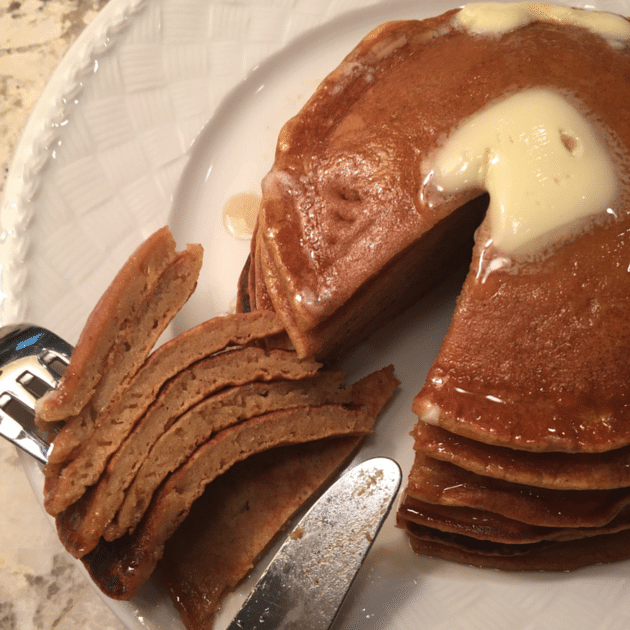 Ahem, back to the pumpkin pancakes… a traditional kickoff to the fall cooking season in our home. 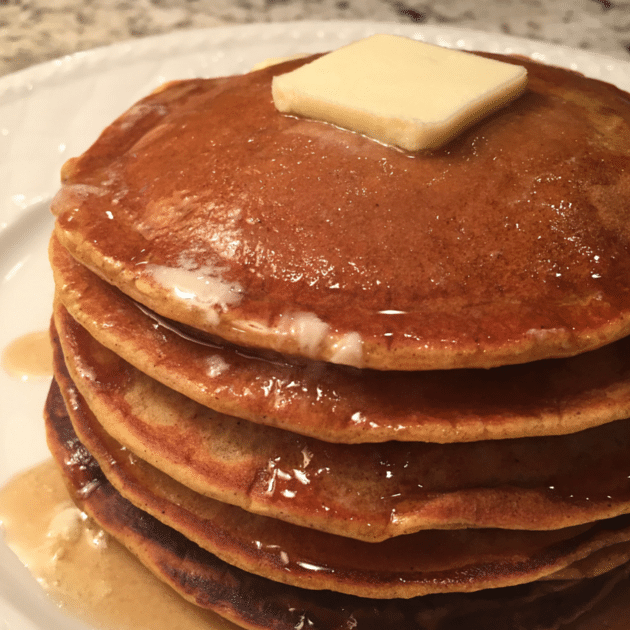 These pancakes are delicious and nutritious – low in fat and high flavor. I like to use almond milk because that’s what we have on hand at our house. The original recipe called for non-fat milk, feel free to swap out with whatever you have on hand. These flavor frisbees are sweet enough on their own from the brown sugar so not much syrup is needed, if any at all. I find they are more dense (less fluffy) than traditional pancakes, but rest assured that just means more flavor in every bite! Perfect tasty pumpkin pancakes just in time for fall! Whisk flour, sugar, baking powder, salt, cinnamon, ginger and nutmeg together in a medium bowl. 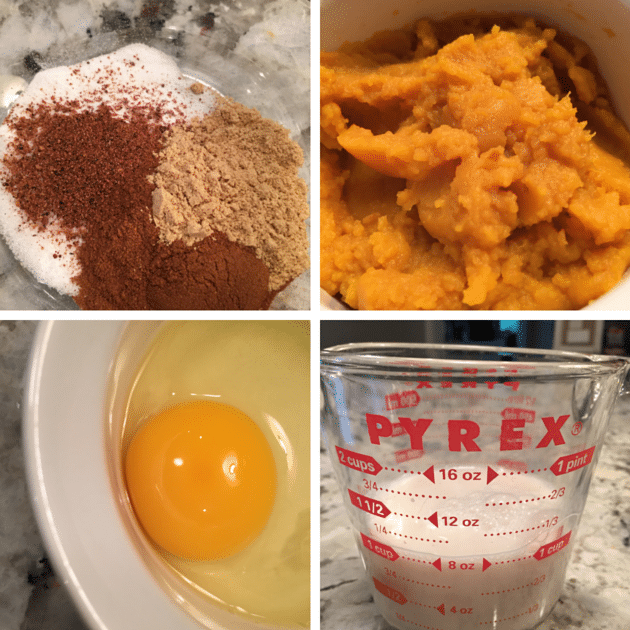 Combine egg, oil, milk, and pumpkin in a small bowl. Stir pumpkin mixture into dry ingredients. Leave to stand for five minutes. 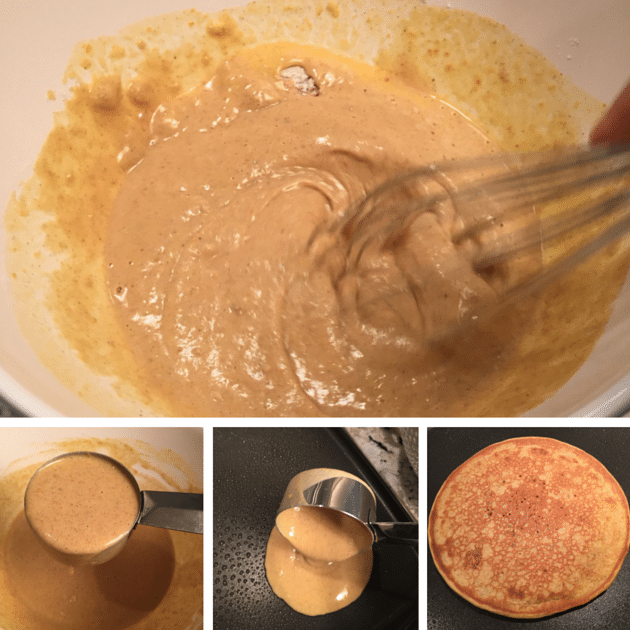 For each pancake, scoop ¼ cup of batter on to a hot griddle or nonstick skillet sprayed with cooking spray. Turn pancakes when bubbles appear and edges are cooked, after about 2 minutes. Cook for 1 ½ minutes on second side. HOW’D IT WORK FOR YOU? If you give it a try, let us know! Comment below, and share your pics on Instagram, with the hashtag #tasteandsee! Fantastic pancakes! These will become a Saturday morning favorite in the fall. Thanks so much!!? I agree they’re a staple for fall weekend breakfasts. What a fun blog site! I love all things pumpkin, even after Thanksgiving (I’m a New Englander don’t forget!). I will try these soon.